Antelope Audio is demoing the Orion Studio HD HDX and USB 3.0 Interface – the latest addition to its professional audio interface lineup – at AES Berlin 2017, the 142nd International Convention, currently taking place from 20-22 May in Germany. 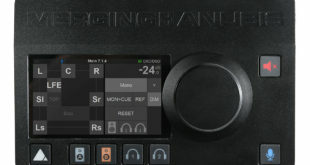 It is the third interface from Antelope Audio to offer full Pro Tools HD and Native DAW compatibility via HDX and USB 3.0 connectivity, providing zero-latency streaming and processing of 24-bit/192 kHz audio alongside a full library of real-time FPGA effects, high-end clocking and conversion, and more. With the FPGA (Field-Programmable Gate Array) chip, Orion Studio HD users can access over 40 free real-time models of legendary EQs, compressors, guitar amps and cabs from the likes of BAE, Grove Hill, Gyraf Audio, and Lang. 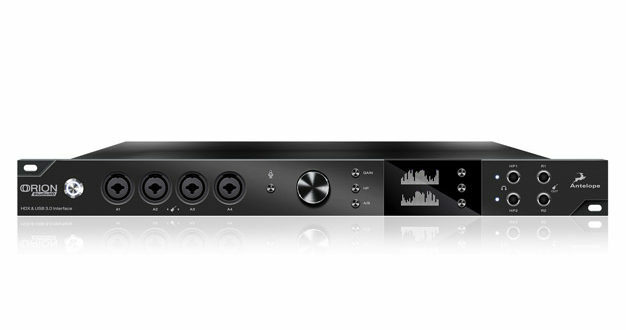 Aside from its HDX port, Orion Studio HD boasts 12 Class-A — Hi-Z-, mic-, and line-compatible — preamps with phantom power; two pairs of mastering-grade monitor outputs; 16 analogue Line Outputs (on a pair of standard 25-pin D-SUB connectors); two reamp outputs; two headphone outputs; eight channels of digital I/O via ADAT with two further digital I/O channels on S/PDIF; and WC (Wordclock) I/O on BNC connectors (that can conveniently double as Loopsync I/O). 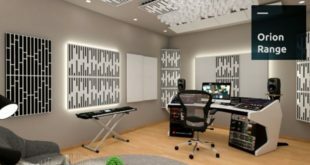 Best-in-class conversion boosts Orion Studio HD’s dynamic range to 124dB, while the company’s 64-bit AFC (Acoustically Focused Clocking) technology for jitter management also lies at Orion Studio HD’s heart. 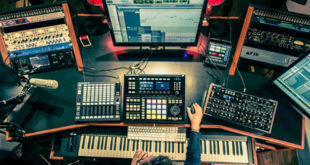 Orion Studio HD allows for fast functionality control via multiple computers with Windows- and macOS-compatible complimentary Control Panel dedicated desktop applications. Highlights here include controlling and using multiple Orion Studio HD units via the serial number selector, switching between two routing matrix view modes, and an all-new application for full session-saving. Additionally, apps for both Android and iOS platforms allow Orion Studio HD users to adjust mic preamps and output volumes remotely from smartphones or tablets. Orion Studio HD has no fans for silent operation, however it can clearly be seen and heard at AES Berlin 2017, where Antelope Audio is displaying and demoing the unit for the first time on Booth 315.